Google Docs is modeled after Microsoft Word, LibreOffice, and their predecessors. They are general-purpose word processors and people use them for all kind of writing, from the small to-do list, to contract agreements, whitepapers, and whole books. On one hand this flexibility is great, on the other hand it comes at a price: because of the large number of features, it becomes hard to find one's way in the depth of user menus and configuration settings. People who just need to write plain text are bothered by the complexity and move to simpler applications. In a way, by wanting to serve the need of all users they've become good at anything but great at nothing. Microsoft Word has the feature you need... somewhere. This is especially true when it comes to technical writing, and the web is full of people who had a poor experience using Word for writing a thesis or a technical book. They had tons of features to style your text, and they added plenty more to not have to style your text, which you can combine in any way you want. Of course users often misuse that. This is probably the most important point. When you format a letter, it's convenient to click a few buttons to make an address right-aligned, or assign a bold font to some title. You do the styling alongside the writing, and this is the default approach of general-purpose editors. But unfortunately this doesn't scale very well: when your document reaches a certain size it leads to serious time wasting as you try to keep all the styling consistent across your large document. It also distracts you from your most important task: writing great content. Everything is loaded and displayed on screen, which means for large documents the interface often becomes sluggish, and in the case of Google Docs your browser can run out of memory and crash. 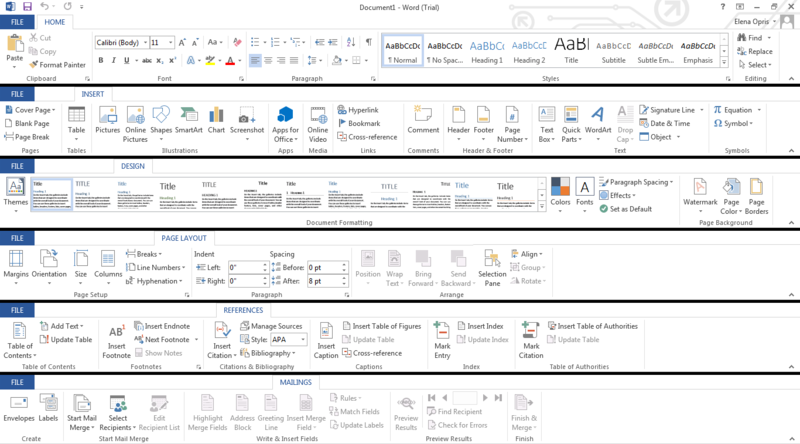 You're also stuck with a huge scrollbar to navigate to different part of the document, where a table of content would be a much better fit. If you think about it, this is not too surprising. The primary use of general-purpose editors is to create and print the ubiquitous small administrative documents, and so their User Interface reflected this from the start. The features needed for writing large technical documents were added when users started to ask for them, but as an "after-thought" they are not always well integrated or just relegated to 3rd-party plugins.